All you need to do is roll roll roll- then the pencil and tools can be collect neatly! 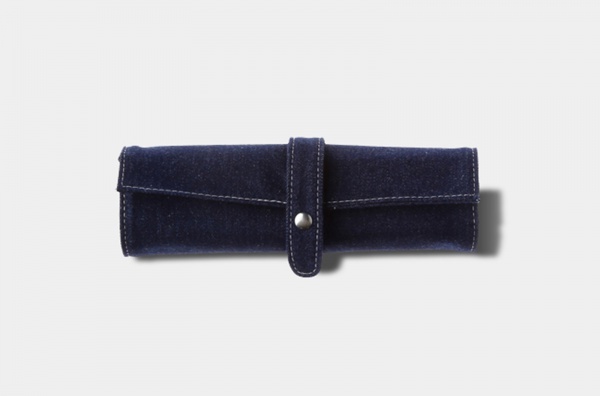 With multifunction, the roll pen case has been respected by stationery enthusiasts. using casual denim as the material, best suited for everyday use. 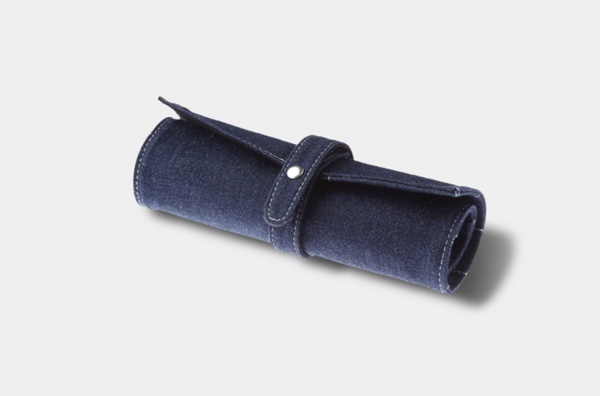 Denim cloth not only has a solid thickness, but also facilitates roll up and storage. Use canvas inside to gently protect the pen. 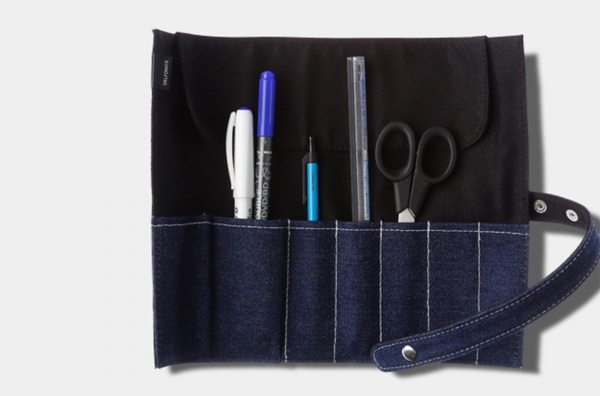 7 different width of the pocket, you can store scissors, multipurpose pens, blades, ruler and other kinds of size items. A cover is included to prevent the pen or objects from falling out. 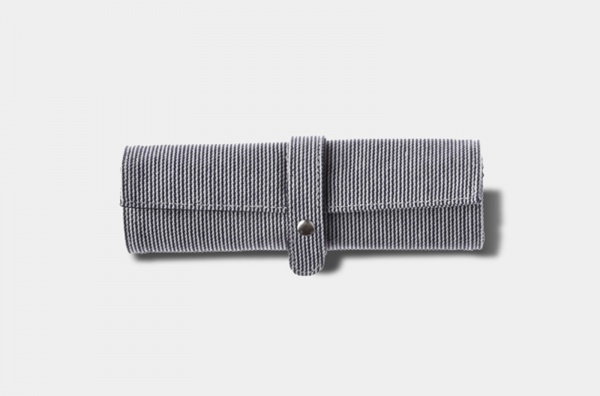 There are two buttons on the strap for easy adjustment according to different placement.